Hogs get fed, pigs get shot. TONKATSU -- A visual primer. 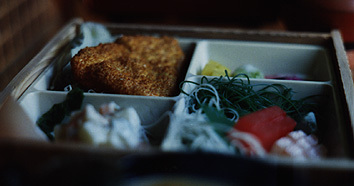 Originally the CD JUNETEENTH was titled TONKATSU. This was because there are two references to the fabulous meat PORK in the album. I came up with some other ideas and went with JUNETEENTH. 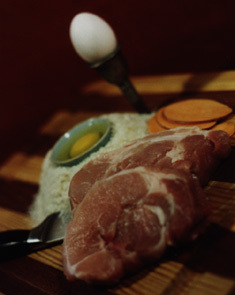 Just the same I want to pay homage to that glorious meat. So here is a page with highlights of the journey of our good friend Pig from humble beginnings to scrumptious TONKATSU. 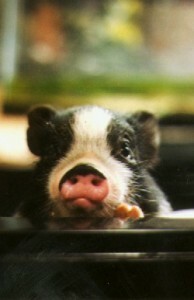 Pig in the very early days. Pigs bite off man's ear, testicle and part of his scalp. 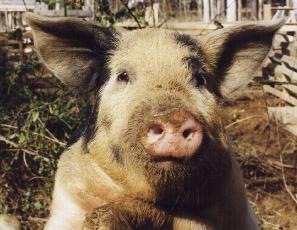 A Romanian pig farmer lost an ear, part of his scalp and a testicle when his herd attacked him. The 69-year-old was cleaning out the pigs' sty when they attacked. One of his pigs knocked him to the ground and several others mauled him. Gheorghe Miscoiu, who lives near the city of Arad, around 340 miles north-west of Bucharest, was knocked unconscious in the attack. Doctors say his condition isn't life-threatening. They originally thought his brain might have been damaged in the attack. Dr Anca Baizat of the local hospital's plastic surgery department said: "I haven't ever seen anything quite like it." This is not a unique story. Pigs are rising up! For more go here. Kosher Tonkatsu? Is it possible? William Roper is a Miraphone artist and plays Warburton mouthpieces.